A geometric orange pattern features on our Alta deisgn pencil case. Fully lined, chunky metal zip and orange tassel detail. 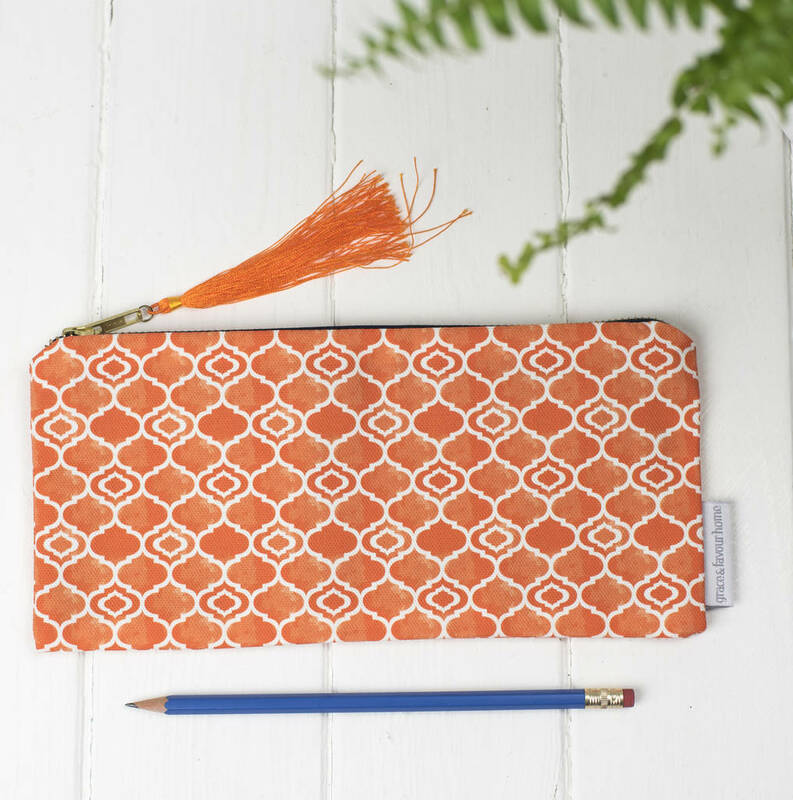 A vibrant pencil case suitable for the office, school or just pencil stoarge at home. 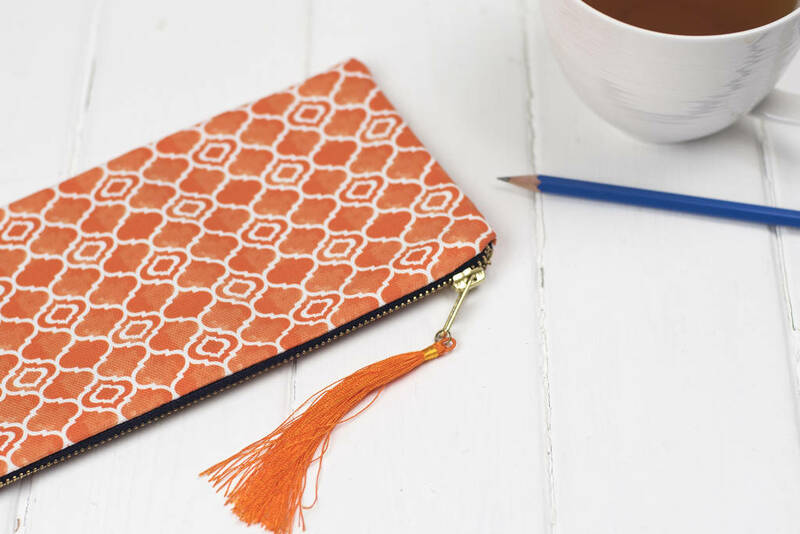 The orange design is based on watercolour paints, so has a real depth of colour. A stylish geometric pattern completes the look of our Alta fabric which is part of our 'Cadiz' collection. Four other coordinating designs complete the range, Paloma, Safiya, Isabel and Marisol. They all use a blue and orange palette and a combination of geometric and abstract patterns. A chunky metal zip with an orange tassel detail finishes the case. Pattern placement may vary from image shown.